My son's teacher tasked the class with writing poems. 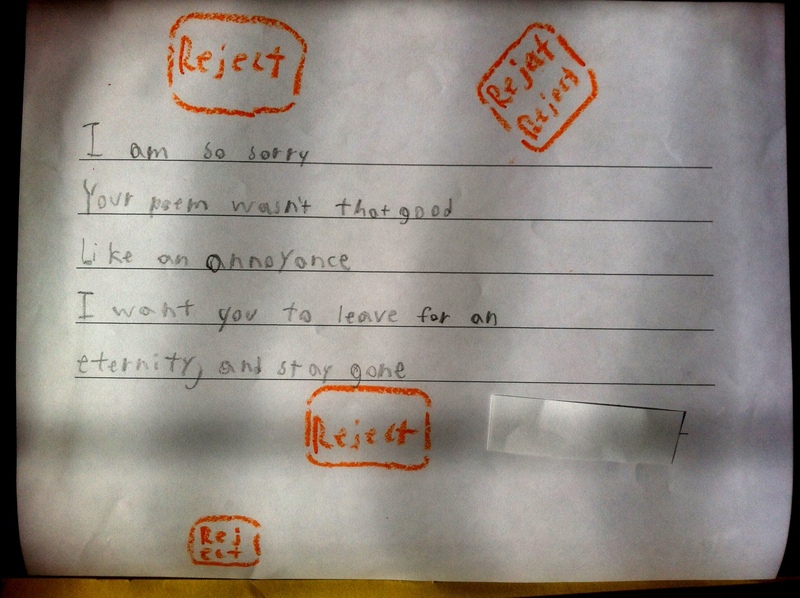 My son, child of a writer, composed a poem rejecting a poem. I am so proud.